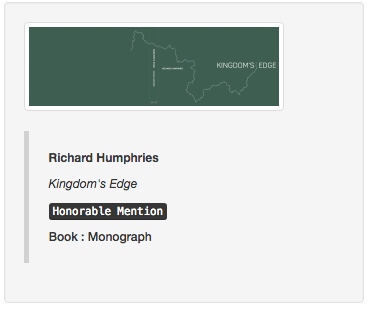 Kingdom's Edge receives 3 Honourable Mentions in IPA 2017. 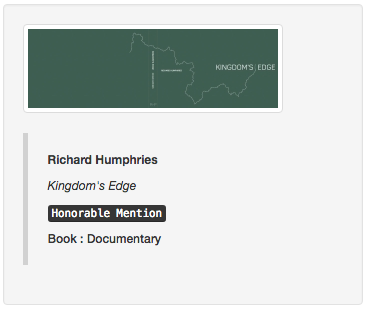 Really honoured and thrilled that my new book "Kingdom's Edge" has received Honourable Mentions in three categories at this years International Photography Award's (IPA) 2017. I'm really humbled to be amongst such well respected and accomplished company, many of whom are my good friends. Congratulations to all the winners. You can seen the full list of winners in the links below.